The tablet which made its debut in November this year, and got incredible feedback, is none other than the tech giant company’s iPad Air. Apple is well-known for its slim tablets. However, this time the company took a step ahead in manufacturing iPad Air. iPad Air is the slimmest and the most light-weight tablet which makes the whole experience of operating iPad truly amazing. What makes a device look better, and function better, is the accessories! 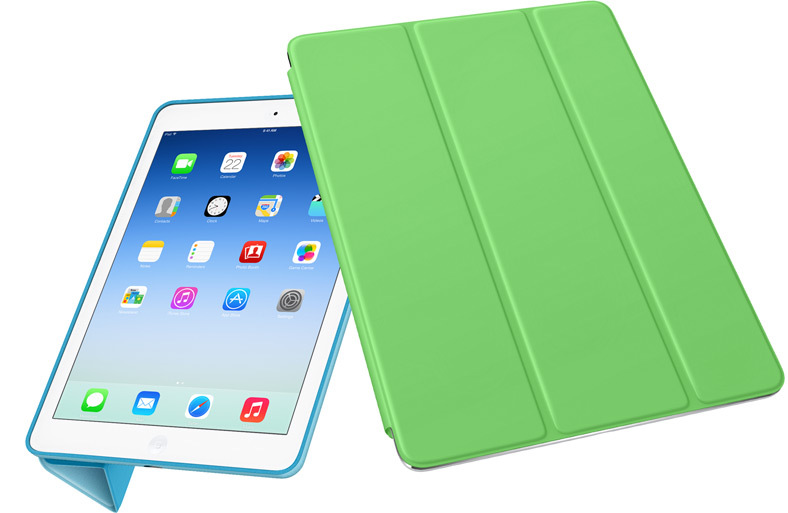 Here, is a list of accessories for iPad Air, that you must have! The stylus is that pen which most of us use for our tablets! Whether it’s a silver or a black iPad pen or a Xoopar 3 in 1 Gray stylus, the incredible iPad Air can be easily navigated with the help of a stylus. 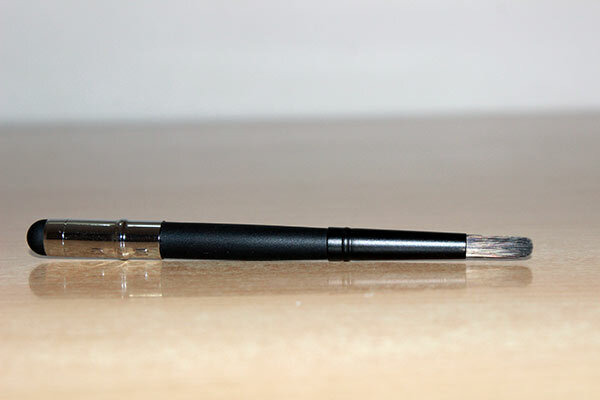 It is a pen that can help you, choose, drag, write and navigate on your iPad Air. iPad Stylus is not just a fashionable accessory to make the iPad Air look good, but it is also a necessity. The one accessory that you must have is the stylish iPad Air Stylus. With a built-in magnet, and superior quality, Apple Smart Case which is specifically designed for iPad Air, is the most suitable cover that any owner can wish for. Not only does the case act as protector to the device and specifically its screen, but it also acts as a nifty stand which can be twisted and folded in any way to make it stand and sit in any position that is convenient for you. The inexpensive case, also helps the device to sleep or wake up automatically without the need of pressing any button. Besides being super handy, the case ensures that it makes iPad look absolutely beautiful. Protecting a device as amazing as iPad Air is important, but not at the cost of compromising the opportunity to flaunt its beauty. However, Apple’s Smart Case only helps in making iPad Air look absolutely stunning. 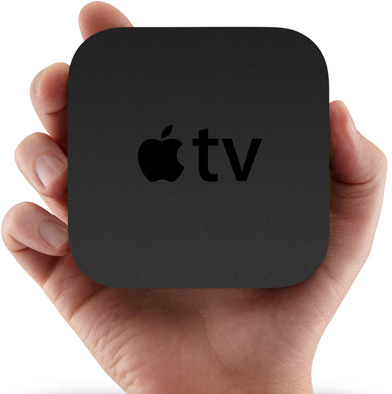 What you watch on the television, you can now watch it on your iPad Air, thanks to this wide range third party streaming service. The other exciting feature is that your iPad Air not only acts as a remote control but you can also the display the content on your iPad on your HDTV. Apple tablets are completely touch screen, however, for some people, typing is a hindrance. Apple has a solution to that specific problem. To help you type faster and without much inconvenience, Apple’s Wireless Keyboard, is the best option! 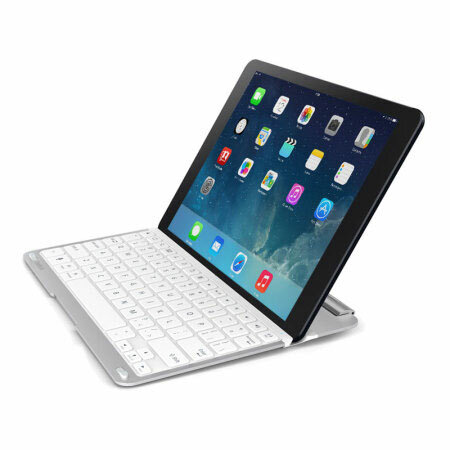 As the name suggests, the keyboard is wireless, and can be connected to a number of Apple devices very easily. With a sleek aluminium body, the Wireless Keyboard, lets you type with complete comfort. However, the keyboard doesn’t offer sepearte numeric keypad. The most striking feature of the Wireless Keyboard is that it is capable of working on the same set of batteries for over a month. Any electronic portable device is absolutely incomplete without a pair of cool headphones. And especially when we are talking about iPad Air, the focus is mainly on the stereo headphones. A range of amazing headphones is available in the market which are completely compatible with the new iPad. These headphones range from the famous Bluetooth headphones to the basic headphones. The headphones are available in an array of various colors and designs. iPad Air is actually complete with a pair of stylish yet colorful pair of headphones. Do you know more Accessories for Your iPad Air? Share with us via comments below. Sony Xperia SP: Is this Smartphone worth buying?